You know that feeling you get when you accidentally gulp down too much wasabi, that white-hot fire blazing through your mouth and up your nose? Well, I like that feeling. Now, I don’t coat everything with wasabi, and when I do use it, I try to use moderate amounts, but when I accidentally over-smear a vegetable roll or inari with too much of the green paste, I find the momentary shock to my sinuses refreshing. But fear not: You don’t have to be heat-crazed to enjoy this ridiculously easy asparagus recipe. In fact, I was a little disappointed to find that my wasabi powder had gotten old and lost most of its heat. Since I had to keep adding it by the teaspoon to get the flavor right, I don’t have a firm amount to tell you to use, but then again, I probably wouldn’t have risked suggesting an amount anyway. We’re all different, and some of us like to breathe fire more than others. The standard disclaimer applies: Use more if you like it hot, less if you like it mild. 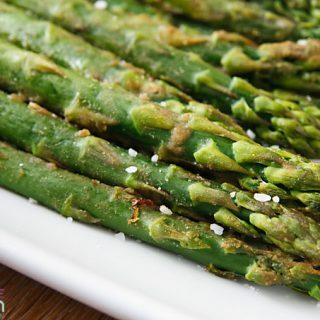 This tender, savory asparagus makes an excellent side dish or appetizer, but to be honest with you, I ate the entire recipe as a snack. With my fingers. Cooking wasabi cools some of its heat, so to make this extra-spicy, sprinkle some wasabi powder on after cooking. 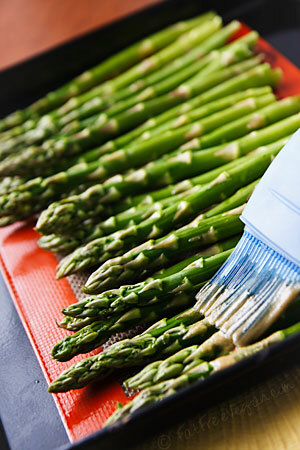 Preheat oven to 425 F. Wash asparagus, snap off tough bottoms of spears, and arrange it on a baking sheet. Mix water, soy sauce, and sesame oil in a small bowl. Add wasabi, starting with 1/4 teaspoon and increasing until the mixture is as spicy as you want it. Brush the wasabi mixture over the asparagus, being sure to coat all sides. 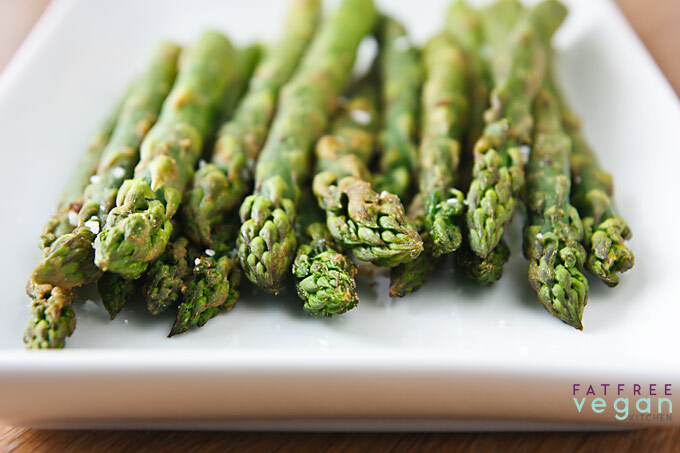 Roast until asparagus is tender but still crisp, about 10-15 minutes, turning once halfway through. Serve sprinkled with kosher salt, if desired. 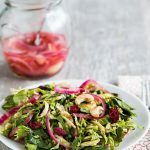 looks so good, i’m new to this blog and i’m having the greatest time reading your recipes. i’ve been working hard to keep variety in my vegan diet but it’s hard to not just go back to stir fry over and over. these recipes are AMAZING, thanks so much for them! I lurveeeee hot wasabi! And asparagus =) What a perfect match! Sounds delish. I bet this would be awesome cut up than rolled into sushi. I love asparagus. Plan to try this soon. I love wasabi, but I can’t stand overpowering heat in a dish. This looks excellent! I LOVE the heat in wasabi!! I never feel like I’m eating enough until my nose starts to run 😉 Thanks for this recipe ~ Asparagus is one of my faves! Love the use of the wasabi. I have a big thing of wasabi powder and never know many ways to use it. Mmm, this sounds great. 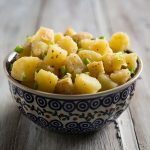 I’m afraid wasabi isn’t a huge hit with other members of the household, but I love it and will definitely “clip” this to try. Thanks! No better way to clear the sinuses than wasabi! Who needs decongestant. One question though, does the wasabi powder lose potency when cooked? The flavor always seems to be quite fragile. Ohhh my (insert diety of choice here)! This looks absolutely delicious, and I just happened to buy a fresh bunch of asparagus. I have a hard time finding unique ingredients here in my heat-fearing small Canadian town but I’m so going to the health food store tomorrow to see if I can dig up some wasabi. Like you Susan, I like mine HOT! You’re awesome. My husband likes to eat his sushi with a thick paste of wasabi and a wee little soy sauce. Most of us think he’s crazy, but he LOVES it! 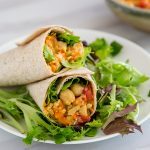 I am glad that I found your blog, very interesting and healthy vegan recipes. Good wasabi is like crack – so addicting! This looks like a winner, can’t wait to make it! I have a bag of green beans from our veggie co-op, and I’m wondering if this recipe might work? Any suggestions or feedback? I’m more on the mild side of wasabi, but I just happen to have bought yesterday so I’m going to try this. Yum! YUM! I love the wasabi sinus burn too. That sounds really good! As someone mentioned, rolling this up in a veggie sushi roll, rock on! If you can’t find wasabi, use horseradish: they’re closely related. This sounds awesome. Too bad I can’t have any. Oh, don’t get me wrong, I love wasabi, and I love asparagus. I can get my DH to eat asparagus, but not wasabi. I can’t get either past my daughter, though she eats almost everything else vegetable related. I’m sure the 2 year old son would love it though, he’s like me about food. I wanted to mention that I am heatcrazed. At our passover seder, we sat at family style tables, and our family had extra chairs so had other non family members with us. I was the ONLY person to take seconds on the horshradish LOL. I find that intense, can’t-breathe, system-on-a-4-alarm-fire moment absolutely exhilerating! Very refreshing to say the least! Thanks for sharing this and allowing me the pleasure to daydream of asparagus eating kids…. So I’ve been reading your blog the last couple of weeks and I absolutely love it! It is so exciting to realize that I can be a vegan, follow Eat to Live and still enjoy good food! Your photographs are beautiful and totally make the blog for me. I consider good pictures a “must have” for cook books/blogs. Thanks for all your hard work. I think my dream is to some day sit in your kitchen and sample everything you make! Nothing like wasabi to clear up spring allergies. This sounds like it would be fantastic with some broiled tofu. Thanks for the recipe! Sounds like a brilliant combo to me. I love wasabi, and although I can be a bit of a wimp with some hot sauce, with wasabi, I can take quite a bit of it! 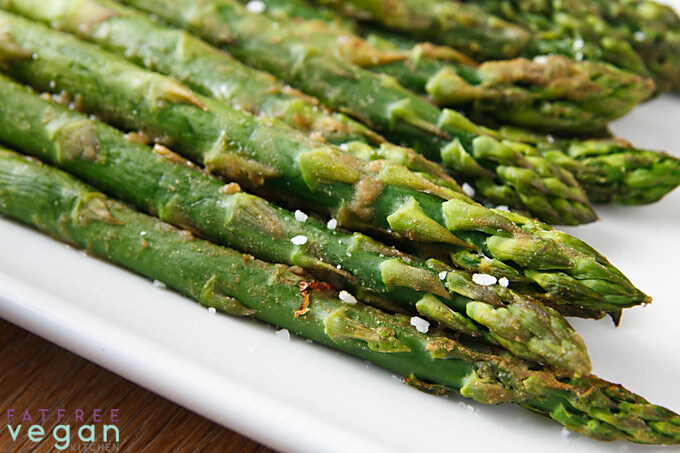 Great way to jazz up asparagus! I totally understand that sinus cavity cleansing burn. Yee-haw. What a terrific idea, this recipe. So much flavor packed into an amazingly simple dish. I just made roasted asparagus the other day and loved it! great recipe. Roasted asparagus is absolutely up there among my favourite veggies. This sounds fabulous! There’s nothing like a little asparagus to help clear out the sinuses. These asparagus look AMAZING. I totally would’ve gobbled them up as a snack, too. Yum. Fabulous – thanks for this. Cant wait to try. We eat asparagus a lot and I often splash it with a little soy sauce and sesame oil, but never thought to add wasabi. Genius! I made this version last night and it was deee-lish. Love asparagus and love wasabi! What a great combination! Not sure I could take that much wasabi…. but maybe if just a tiny touch…..
Never thought of having wasabi with asparagus so will definitely give it a bash as I love both of them. Ha ha- I kinda like that feeling too. I’m craving asparagus this AM with those beautiful pics! This looks delicious and I’m going to try tonight! Just thought I’d tell you that we call it ‘wasabi head’ when you get that rush from a little too much!! wow, this was a home run in my house. i love love love wasabi, so after following this recipe, i tried it again with a lot more wasabi and just soy sauce (about a 50/50 mix). my sinuses were clear for hours! thanks for the great new dish!! 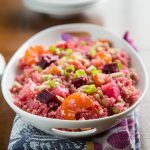 I’d love for my readers to find your great recipes. At the end of the month I’ll also do a recap so people will see the links again. This week’s secret ingredient is strawberries. Hope you’ll join in. oh, you are *such* a temptress, Susan. this use oof asparagus, wasabi, tamari et alia would be *perfect me, but anathema for my partner. we get wasabi-coated nuts and tiny potato puff pellets over here…and i love them. the wasabi tickles my nose for a brief time but others try them and have to run to a sink! I think I have cultivate different friends (Hee hee). I just shipped 7 jars of home made hot sauces to a guy in the USA..cost me £58 to ship a small carton. Grr. i made this and the artichoke tapenade for a party friday night. both were so good…but the asparagus was gone in minutes! im thinking i may even make it again tonight. I’ll definitely try this, Susan!! Fantastically good! I definitely did quite a bit of eating with my fingers before any made it to my plate. Thank you! It’s essay and with a new and fresh flavour. I really enjoyed it. Thanks a lot! Asparagus is my fav veggie, the Wasabi brought new flavor, it was amazing, thank you! This sounds yummy! Cant wait to try to real thing, but for now since all I have in the house are fresh greenbeans Im going to try it with that, since I love all of the ingredients, Im betting this way it will be good too! This was easy to prepare and totally delicious. made this today and it was very easy and good. Instead of sesame oil I used Tahini. I used 1/4 teaspoon of wasabi paste but I couldn’t taste any spice really. I think next time I will double the wasabi and save some extra mixture to pour on after they are done roasting. Thanks for the recipe! OH man, I LOVE HOT. Do you have a link to just the hot dishes? I’ve never thought of making a list of just the spicy dishes, Stephanie. Good idea! But I have so many that it could be a very long list. got the first cheap asparagus of the season yesterday, and as per usual just grabbed it without thinking what to do with it. got home and looked on your blog to find something easy and delish………the first four wouldn’t work (too complicated) and there it was. Alas! no wasabi! but I did have some chinese mustard so used that instead. not quite the same but yummy nonetheless! I’ll have to get some wasabi powder to try this again before the season ends!